Planning to celebrate the March 17th holiday honoring the Irish saint? Better make sure that you have a designated driver–or at least an alternate form of transportation–for that night if you want to avoid charges of DUI in Los Angeles or any other jurisdiction. Police departments across the country are warning that they plan to be out in full force to ensure that the roads remain as safe as possible. They have reason for concern. 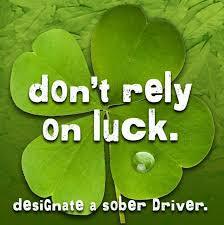 The WalletHub website recently posted some sobering statistics on DUIs on Saint Patrick’s Day. They report that in four years, from 2009-2013, 276 people died in DUI-related accidents on March 17th. (The Centers for Disease Control state that 30 people a day usually die in such accidents, so that’s more than twice the typical number of deaths.) The drivers involved tend to be more than just a little tipsy; WalletHub said that 75 percent of those involved in fatal accidents have more than twice the legal limit of alcohol in their blood. The St. Patrick’s Day DUI accidents also occur more frequently–every 46 minutes, according to WalletHub, versus the CDC’s estimate that a DUI-related death occurs every 51 minutes on the average day. The California Office of Traffic Safety is providing funding for special DUI patrols in several jurisdictions around the state. Law enforcement officers will have extra patrols on the roads looking for DUI drivers starting on the weekend before the holiday. Remember, it doesn’t take all that many drinks before you face a DUI charge in California. Under California Vehicle Code 23152(a), your blood alcohol content only has to be 0.08 percent–the equivalent of five beers in two hours for someone weighing 150 pounds.